Although still 10 months away the Holiday Park Innovation Show is already filling up with exhibitors, new features and the industry’s best. 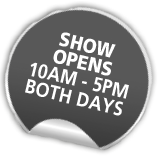 The show runs in 2016 on the 9th & 10th November at the NEC, Birmingham, and despite having expanded into a bigger hall for 2016 the floor plan is already looking full! We also have some significant exciting announcements to make over the next few months including leading new partnerships and new features and opportunities at the event. A new feature for 2016 is the introduction of the Live Debate/Expert Panel area at the show, where the industry’s hottest topics will be discussed by a panel of leading experts, top suppliers and industry professionals in an environment where interaction and opinions are encouraged. There are still spaces left on the expert panels, and a debate topic still to be decided so if you feel your expertise and area needs to be involved then just get in touch.